Broken teams can't react quickly - what can we do? Tech.Ed 2006 - the "secret handshake"? 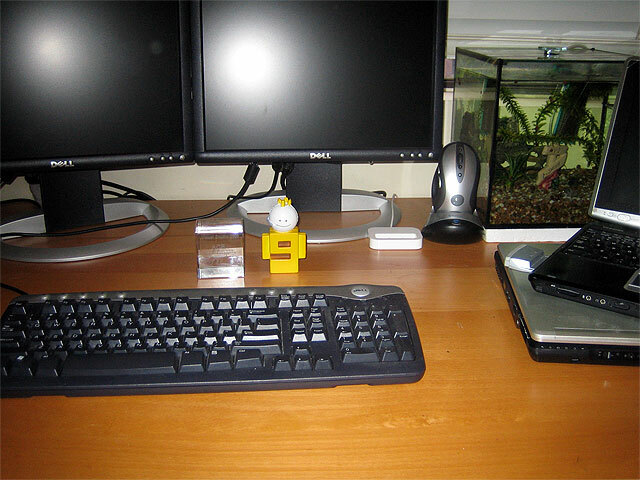 David Wang resumes blogging - a comment on corporate blogs? What to blog about, when you can't talk about what you do? Microsoft MVP for another year! I recently received a nice surprise from Microsoft. 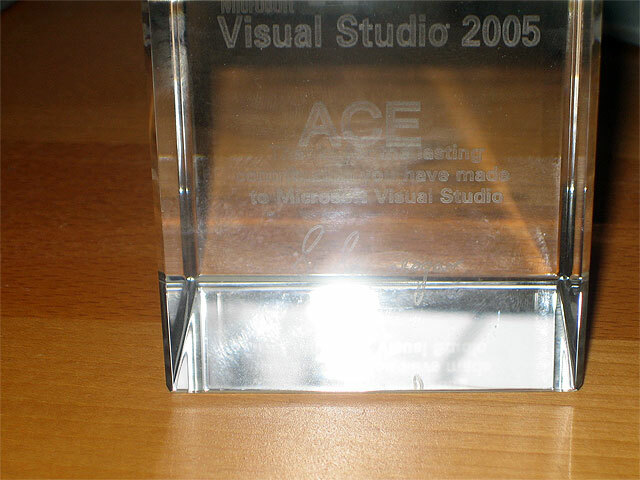 A number of MVPs (and others) were given a Microsoft ACE award for their contribution to the VS.NET 2005 Beta. Mine got delivered a few days ago. Some pictures below (with Channel 9 guy to show size). There are some clearer pictures of the cube available on other websites (1, 2). Thanks Microsoft! Tech.Ed 2005 in Australia - blatant plug! Registration for Tech.Ed Australia 2005 is open. Register before 30th June for $400 off the regular delegate's fee. For those who'll be attending and reading this (all two of you! ), I'm currently scheduled to be presenting a session on IIS Troubleshooting and Debugging, including coverage of the upcoming IIS Debug Diagnostics tool which is currently in beta. My colleague Chewy Chong will be presenting a session on Microsoft Identity Integration Server. When using HTTP based authentication (e.g. Basic, NTLM, Digest, Kerberos), Internet Explorer (IE) will continue sending the same credentials for each subsequent request to the server until one of two things happens: either (a) the user closes their browser or (b) the server refuses the credentials with a 401 status code. This behaviour is described (about 1/3 of the way down, under Notes) in KB 264921. A common request I see is how a programmer force a user to reauthenticate after a certain period, particularly after a period of inactivity. This might address a situation where a user has accidently left their machine unlocked and their browser window open, or where an application based session has expired, and the programmer wants to simultaneously force the user to reauthenticate. With the exception of the first option (setting the Response.Status), the methods are mostly ugly hacks IMHO.